I thought we'd take a short interlude from the Mull blogs this evening to focus instead on some local news. More specifically Mumbles where amongst the holidaymakers we spent a surprisingly productive couple of hours this afternoon thanks to two stalwarts of the area's avian population. 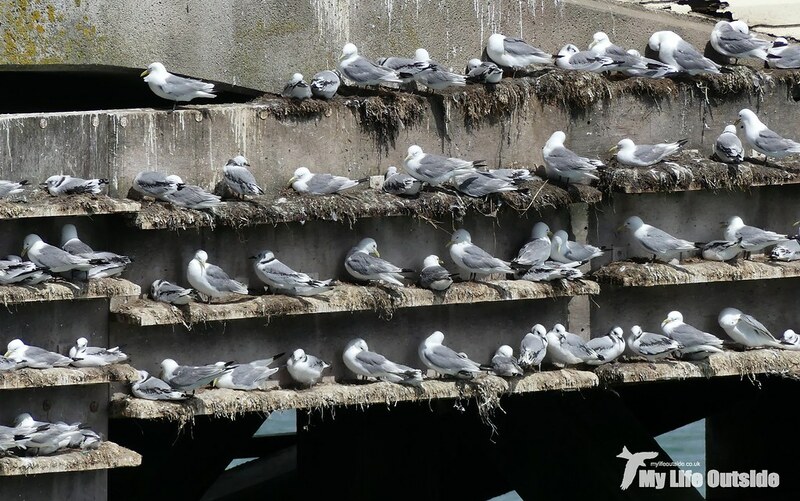 First of these were the Kittiwakes which for various reasons I've not caught up with since the pier was closed pending refurbishment a couple of years ago and their old nesting sites netted off. At the time I feared for the colony's future despite the provision of replacement ledges, feelings which weren't alleviated thanks to the birds sluggish uptake of their new digs. 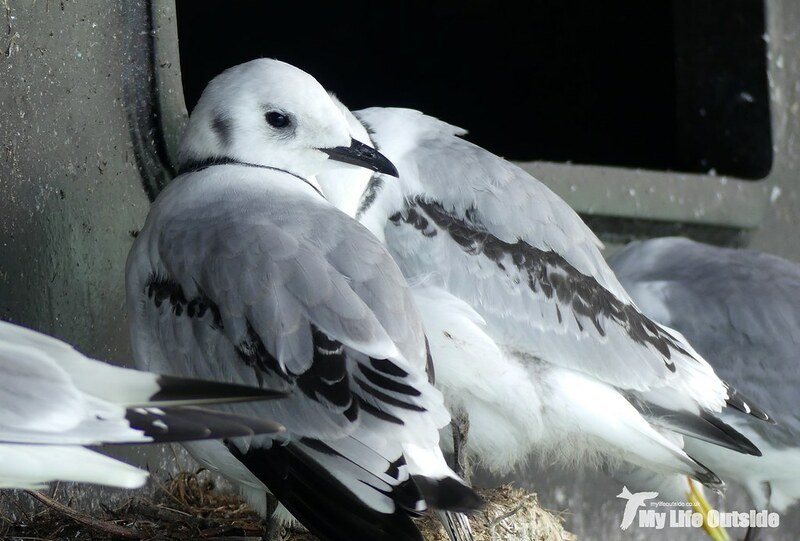 To my own relief things have improved considerably since then, at least for the Kittiwakes. 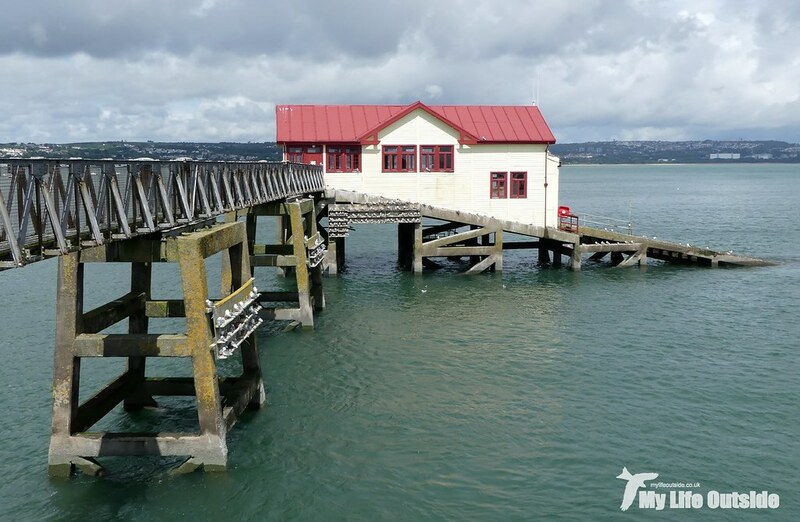 Mumbles pier itself is still in dire need of restoration. Though they've taken a battering those replacement ledges still standing were packed full of Kittiwakes during today's visit. I only made a cursory count but there must have been well over a hundred pairs present, many with chicks or juveniles already fledged. As ever the noise being generated was simply fantastic, a cacophony of discordant calls which only escalated as each adult bird returned from hunting forays out into Swansea Bay. Standing on the crumbling pier we had grandstand views over everything that was going on including the fabulous sight of Kittiwakes flying by at head height often just a couple of meters away. Of course such proximity also meant we had to keep a keen eye out for errant wind blown droppings but after our recent practise on Lunga that proved almost second nature. 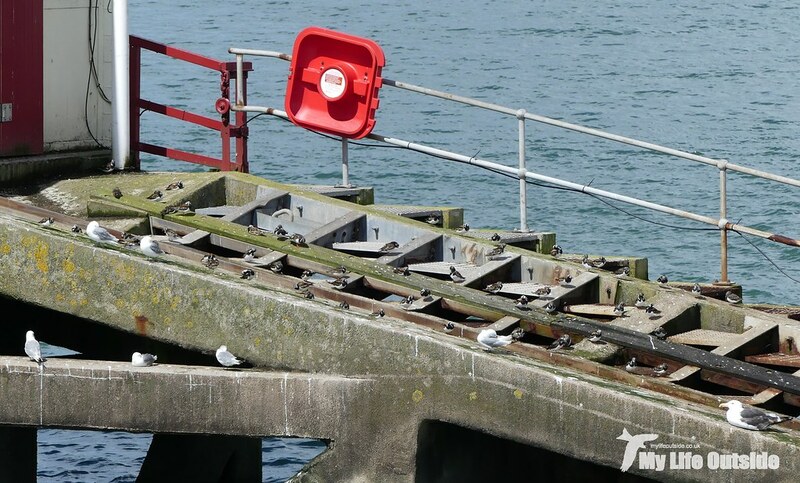 Something I was keen to see though was how well, if at all, the Kittiwakes were able to make use of the new steelwork underpinning those areas of the pier which have already been repaired. In contrast to the original flat beams this new steel was deliberately designed with a curved top edge to try and prevent future nesting attempts. 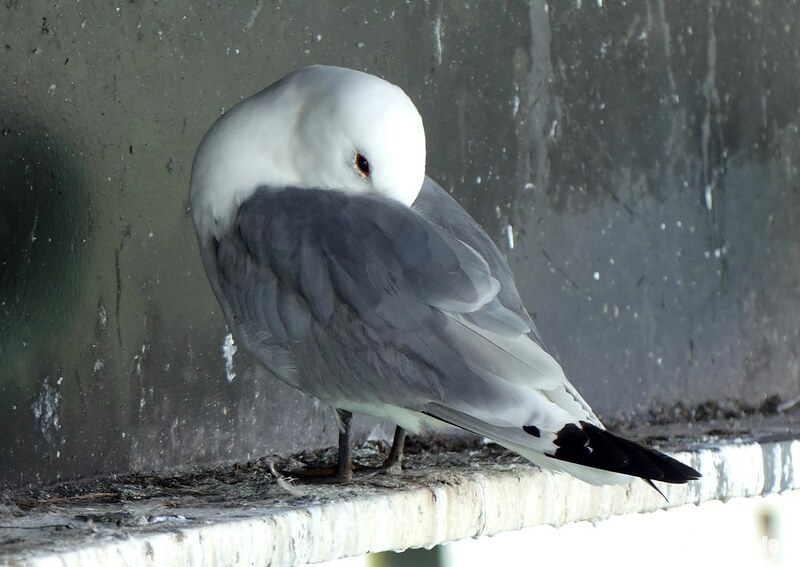 Harsh perhaps but let's not forget that these structures take a lot to maintain and Kittiwake droppings aren't exactly renowned for their non-corrosive properties. Even so I couldn't help but crack a smile at several stubborn pairs which have managed to nest there despite the architect's best efforts. Nature always finds a way. Kittiwakes weren't the only birds about either as over on the old lifeboat slipway I counted a high tide roost of sixty Turnstones. Pretty impressive especially when the whole lot took flight and did a circuit of the pier calling all the way. Such a brilliant sound. 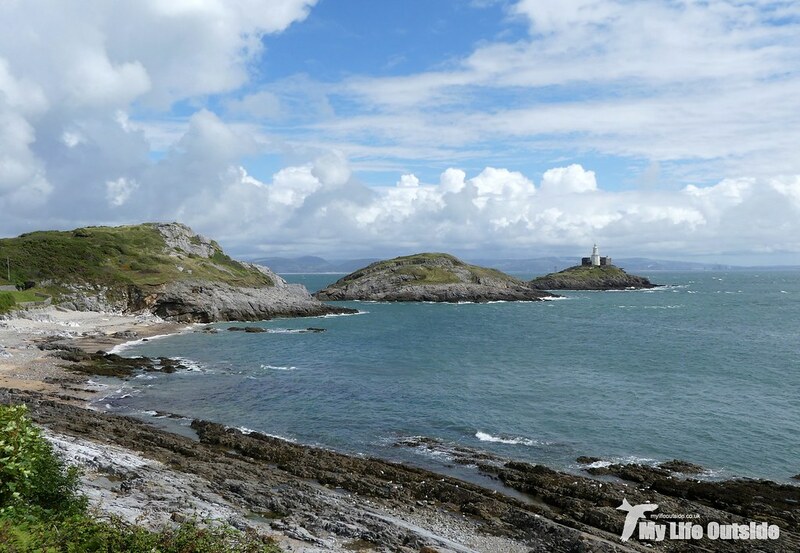 So far so good then and much what I'd hope to see from Mumbles at this time of year. Something I definitely wasn't expecting however was an adult Gannet on the deck next to the new RNLI building. 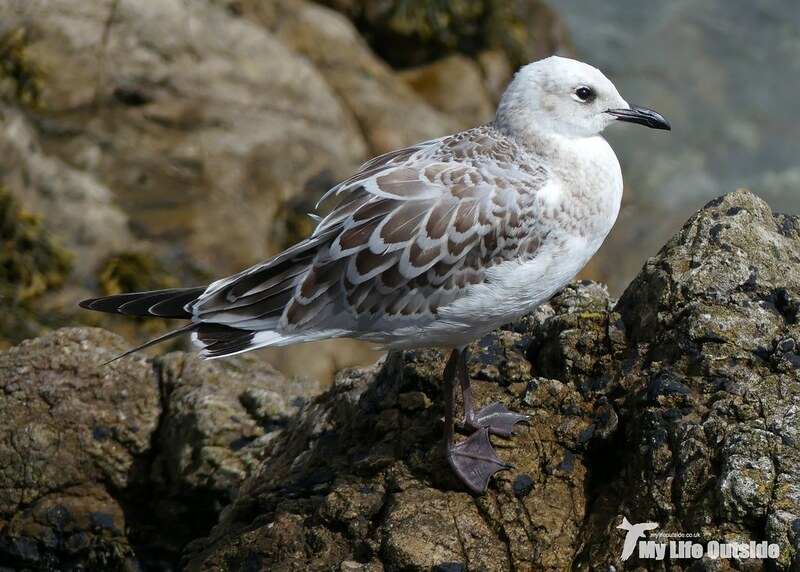 In fact I had to do a double take, the first registering a rather large Gull before the second scrabbled for confirmation as my brain finally caught up. 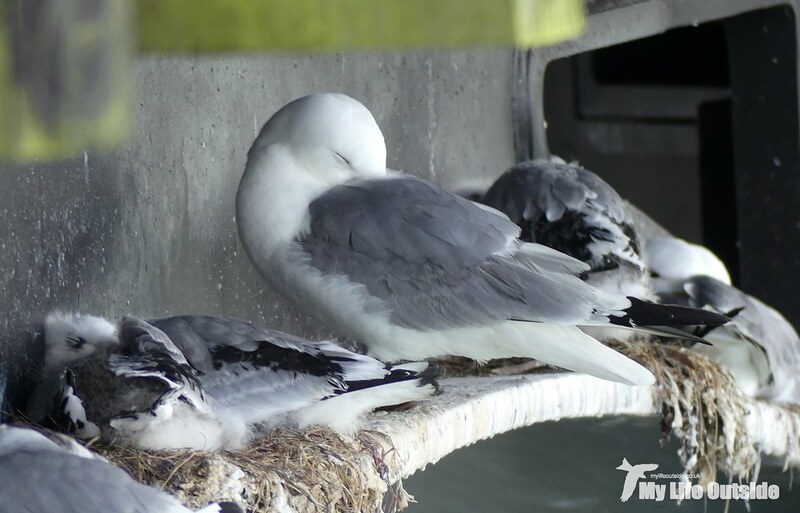 The truth is you rarely get to see these ocean specialists up close, and almost never waddling next to a bench in the face of a barrage of mobile phones. Clearly something wasn't right. 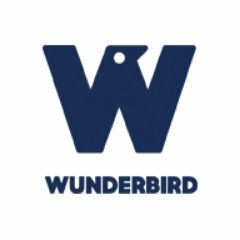 From a cursory once over the Gannet appeared in good health but seemed unsteady on its feet and when it did make an attempt at flight it quickly became apparent that just wasn't going to happen. Quite why I'm not sure but we placed a call with the RSPCA just in case and it transpired that we weren't the first to do so. The staff in the RNLI shop were keeping an eye on the bird in the meantime and mentioned that they'd had another Gannet not that long ago acting in a very similar manner. 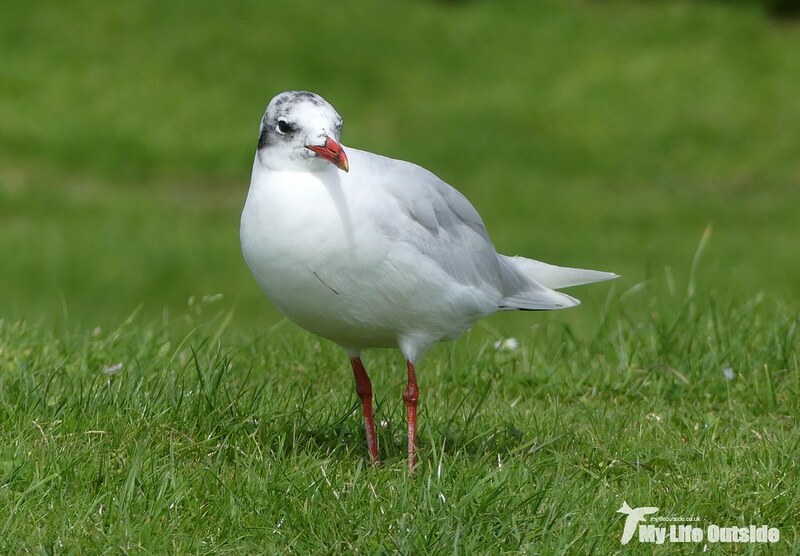 That individual had stayed tucked away for a couple of hours before flying off, presumably having been stunned or disorientated and simply needing time to recover and regain its composure. Hopefully this was just a case of history repeating itself then as I could quite easily imagine the strong wind that was blowing catching a bird off guard and causing a collision with the pier. 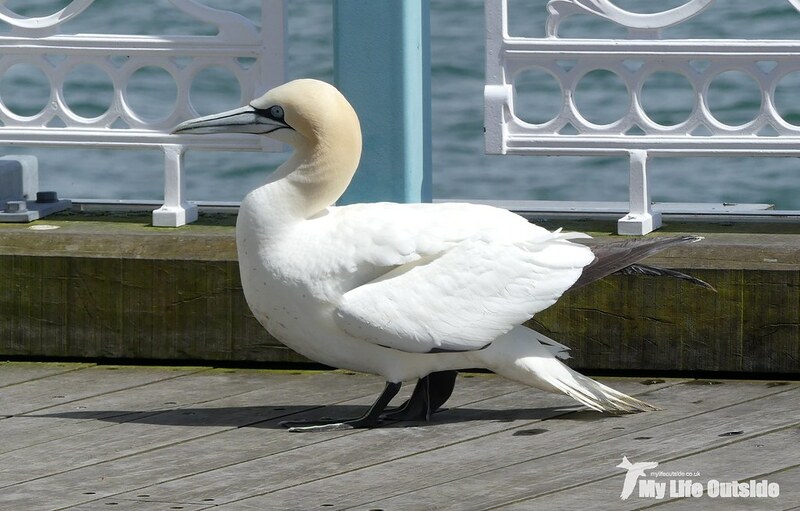 By the time we left the Gannet was still present and must have by now graced hundreds of social media accounts across south Wales, my own included. We still had one more species to find however and they couldn't have done more to oblige. 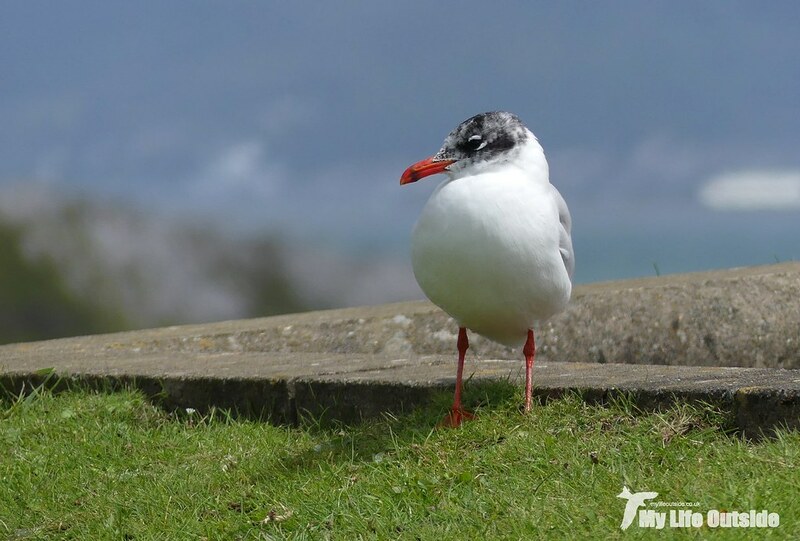 I am of course speaking of Mediterranean Gulls, a population of which has been providing me with ample camera fodder for the last decade. And today was to be no different. 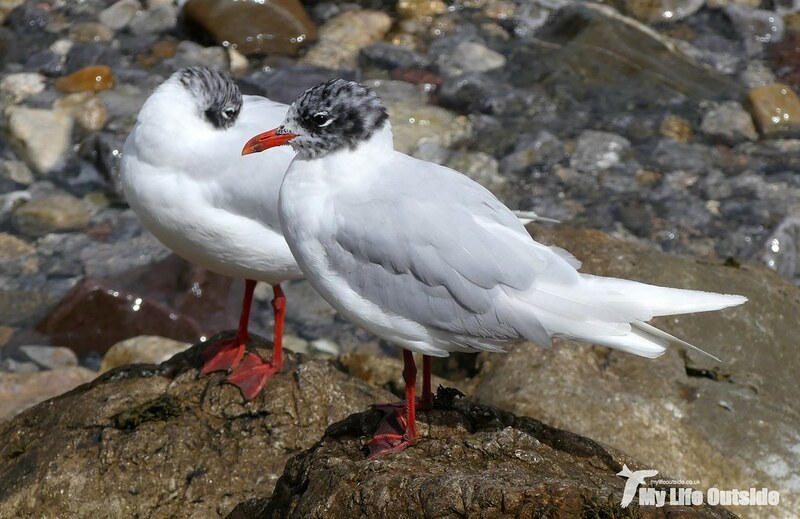 The birds above were just up from the pier, a group of six keeping their feet dry on one of the only rocky outcrops left uncovered by the spring tides. Just around the coast at Bracelet Bay there were a whole lot more, at least thirty five in fact although exact counts were difficult thanks to an almost continuous rotation between beach, car park and grass verge. What I can be fairly certain of is that there were no ringed individuals present unfortunately so no life stories to unravel but that didn't stop me getting some great shots. When I'd eventually taken my fill we sat for a while to sea watch, Med Gulls on one side and the raging Bristol Channel ahead. Passage was slim to put it mildly but we did spot a small group of four Manx Shearwaters heading out not to mention the juvenile Peregrine Falcon which flew straight towards us and over our heads. First emerging from beyond the lighthouse it made a beeline for the gulls sending the lot skywards in a scrambled panic. Closing in rapidly the Peregrine made one idle swoop before continuing on its way, either considering the Med's too much like hard work or simply enjoying leaving mayhem in its wake. Personally I suspect the latter.